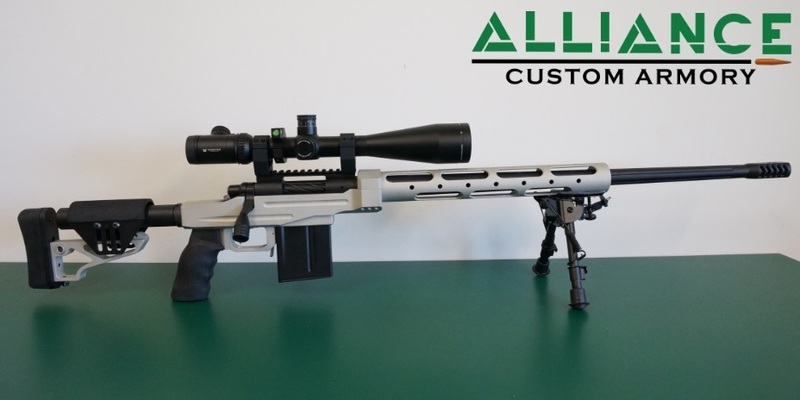 Our newest addition to our rifle line is designed to provide superior accuracy for a tactical or competition application, or just an all around comfortable shooting rifle that looks awesome! 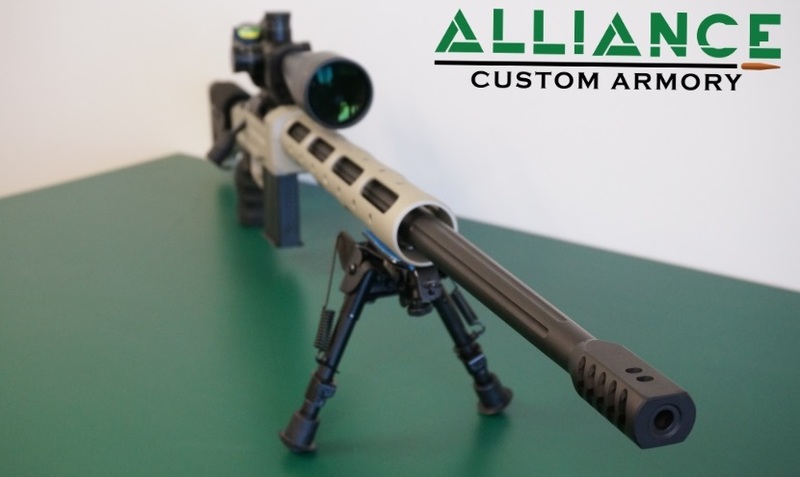 Offered in all short and long action calibers. 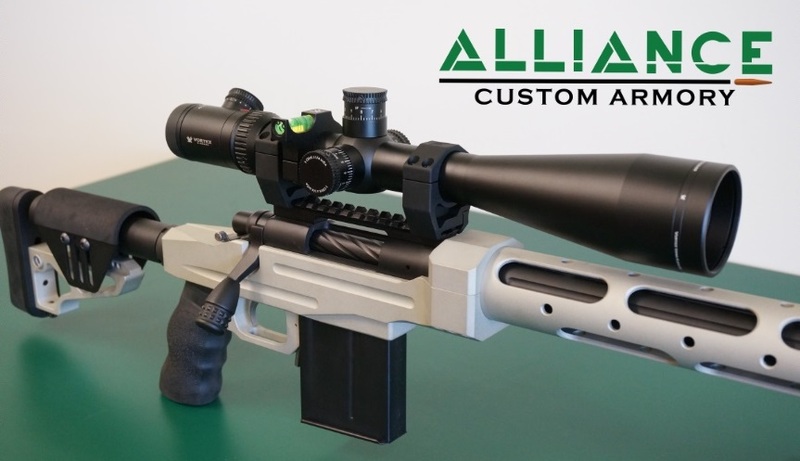 This rifle is built on an Alliance custom action. 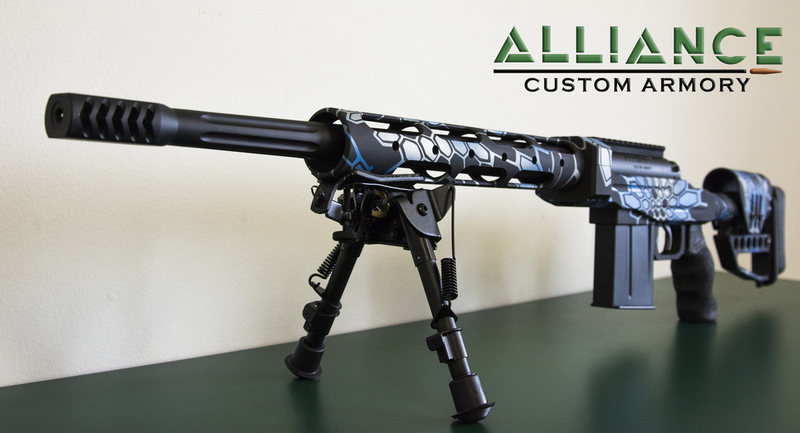 It is fit with a custom stainless barrel with a threaded muzzle and features a pinned recoil lug and pinned 20 or 40 MOA Picatinny scope rail. The barrelled action is fitted in an XLR Chassis. The rifle is rounded out with a Jewell trigger, and an AICS detachable magazine.